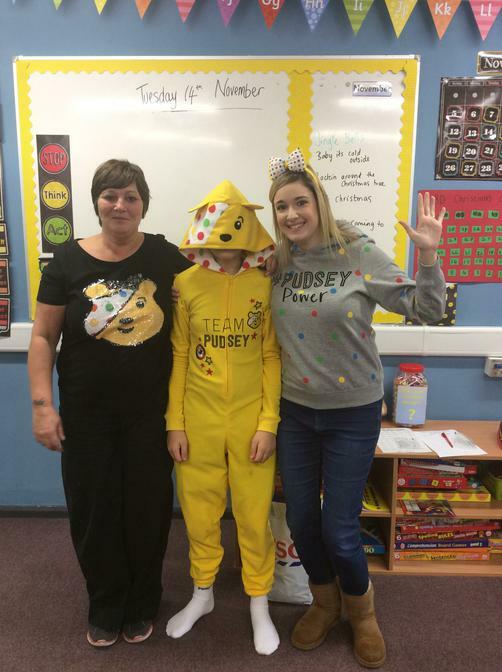 Pupils and staff wore their pots with pride today to raise money for BBC Children in Need. There were many other activities going on today including; a penalty shoot-out, guess the number of sweets in the jar, guess the teddies name, burger sale and cake sale. We raised over £300.